So you’ve decided to hit one of the biggest online stores and become an Amazon Seller. But where do you start? These 12 online sources can help you get on the right track. You’ll not only learn how to become an Amazon Seller but get instructions, tips, and help with fulfillment, shipping, and other essentials. The Online Selling Experiment website is for those interested in selling on Amazon, eBay, and Shopify. You can get training, coaching, and tips for selling your product online. They offer a terrific beginner’s guide for selling on Amazon. The guide starts with an overview and screenshot of the basics. Then it moves onto how to sell on Amazon FBA (Fulfillment by Amazon). You can also review the benefits of the FBA program or other options, and then jump into step-by-step instructions. Complete with images to accompany the instructions along with community questions and answers, the guide on Online Selling Experiment is a good place to start. StartupBros is another nice site to check out with a beginner’s guide for selling on Amazon. The guide has a helpful table on contents on the right side, so you can skip between different sections. From top to bottom, you can find out how much money you need to get started, types of products to sell, how to create an account and a product listing, shipping method options, registering your brand, and finally, what to do at tax time. For a lengthy guide condensed into five simple steps, FitSmallBusiness offers helpful information. The site covers marketing, finance, retail, sales, and much more. The beginner’s guide for selling on Amazon takes you through products to sell, setting up your seller account, creating a product listing, managing your inventory, and fulfilling your orders. This is a useful guide packed with information in easy-to-understand language. FitSmallBusiness also has a search tool and you can explore the other categories mentioned for help marketing your product. Just click the menu button from the top left to review what the site has to offer. If you are interested in a useful video with a full transcript, check out Jungle Scout. The guide for how to sell on Amazon FBA is for beginners and takes you through seven steps. This guide is quite useful in that you can get help with sourcing product manufacturers, negotiating with suppliers, and positioning your product on search engines. And of course, details specific to Amazon selling like creating a product listing and launching your product through Amazon’s fulfillment center are in the guide too. For a helpful video you can listen to with a transcript that you can read and reference, Jungle Scout is worth your time. If you like the idea of a video Amazon selling guide, another good option comes from Project Life Mastery on YouTube. The video gives you step-by-step instructions for selling on Amazon. The tutorial goes onto help you with building your online business 5 Web Apps for the Online Business Startup 5 Web Apps for the Online Business Startup If you are a businessperson looking to make it big, then the Internet is your friend. It gives you a global audience. It also provides you with a multitude of tools Read More , how to private label a product, and gives you information on fulfillment, shipping, and more. What’s nice about this video is that you can follow along as the host heads right to Amazon for a hands-on look at the process. Maybe a personal experience guide is more to your liking. The Selling Family website tells you a story about their beginnings as an Amazon seller and then goes on to show you how to do the same thing. Take a look at their beginner’s guide for selling on Amazon FBA, complete with instructions and images. If you like what you see, the site offers a few extras that might interest you. Check out their Amazon Boot Camp training class or sign up for their free 7-day email course. Whether you decide just to check out the guide or explore the other offerings, The Selling Family is another great source for starting your Amazon selling experience. 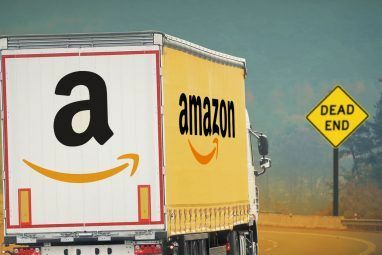 The eCommerceWeekly site gives you an A-to-Z guide for selling on Amazon but breaks it down into bite-sized pieces for you. Click the links at the top of the guide to jump to those sections or just scroll down the page and browse. You choose where to begin from how to create an Amazon Seller account to understanding pricing plans. You can even check out information on advanced Amazon Sellers, fulfillment by Amazon, and Amazon updates and news. The eCommerceWeekly offerings don’t stop at Amazon though. So, if you plan to take your product to a broader market, review their topics on Etsy, eBay, PayPal, and international selling. 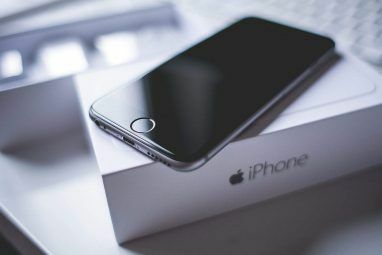 If you happen to be selling on eBay as well, check out how you can make more money How to Make More Money Selling on eBay How to Make More Money Selling on eBay To maximize your earnings on eBay, you need to take a number of factors into account; we'll walk you through the best way to get the most out of your auctions. 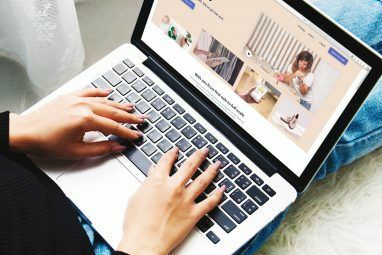 Read More and tips for selling more overall on eBay 11 Critical Tips on How to Sell More on eBay 11 Critical Tips on How to Sell More on eBay eBay is one of the top online shopping sites. You may be a seasoned seller on eBay, or you may have just started with your eBay seller career, these tips can help boost your profits. Read More . If a structured course is more your learning style, Udemy offers several classes for selling on Amazon. From free to paid options, you can learn how to get started as an Amazon Seller or dig into how to private label products for Amazon FBA. The courses on Udemy include lectures, videos, and written material. And some classes provide you with a certificate of completion when you finish. This is a terrific source for an organized learner to begin their Amazon selling journey. The guide on wikiHow for how to sell on Amazon is a good option if you learn well with pictures. The guide has four parts broken down into creating your seller account, creating a listing, packing, and shipping, and managing your account. Each step in the guide contains a helpful image along with a bit of written explanation where needed. So, following the steps is easy. You can also review the community questions and answers from others like you. The wikiHow guide is helpful and lets you ask your own questions if needed. The nChannel website seeks to help people sell products through various avenues. Their guide for selling on Amazon is a little older than the others on this list but still helpful. Move through each of the six steps with clear instructions, explanations, and images. Just keep in mind that some photos may differ from updates to the Amazon interface since the guide was published in 2015. The nChannel site and guide provide helpful tips for selling on Amazon. For a guide broken down into chapters, review the one from BigCommerce. There are 17 chapters in all, but you may only read those applicable to you. Like many similar sites and guides, this one offers instructions with images to give you a clear picture of the process. BigCommerce also provides advice and tips for pricing strategies, help for growing your Amazon sales, and secrets to long-term success on Amazon. For anyone interested in becoming an Amazon Seller, the guide on BigCommerce is one to check out. Plus, you can download the complete guide to read offline if you prefer. Don’t forget that on your journey to becoming an official Amazon Seller you can always go straight to the source. Amazon has details for getting started as an Amazon Seller, benefits of selling on their site, and a helpful Amazon business guide. Plus, you can check out our articles on Amazon updates that make selling used goods easier Amazon Makes It Easier to Sell Used Goods Amazon Makes It Easier to Sell Used Goods Amazon already sells used goods. However, the online retailer is now testing out new ways of letting us all sell used goods. Starting in India. 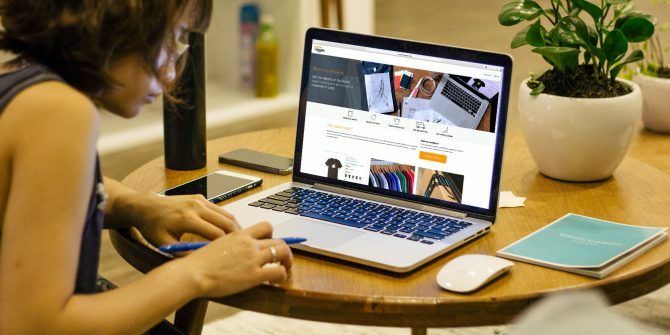 Read More and why you should sell your handmade crafts on Amazon Here's Why You Need To Be Selling Your Handmade Crafts On Amazon Here's Why You Need To Be Selling Your Handmade Crafts On Amazon The launch of Amazon Handmade provides a huge opportunity to the users and makers of Etsy. Here's the reasons why. Read More . Explore more about: Amazon, Make Money Online, Online Shopping, Selling Online.